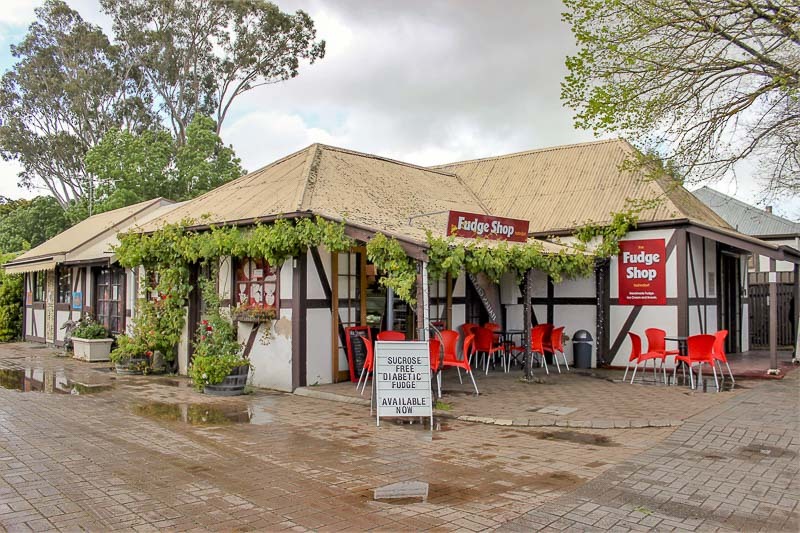 Hahndorf is a small town in the Adelaide Hills, about thirty minutes drive from the city centre. 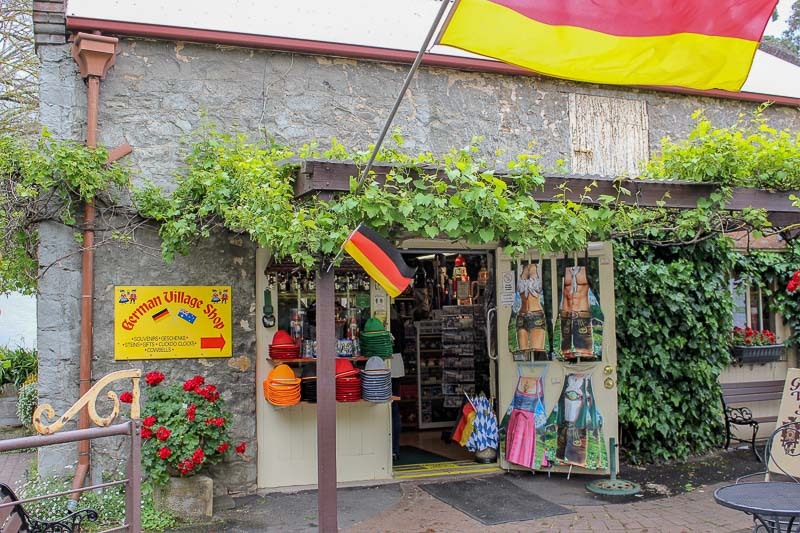 It is an old German settlement, first established in 1839, so by Australian standards it’s been around a while. 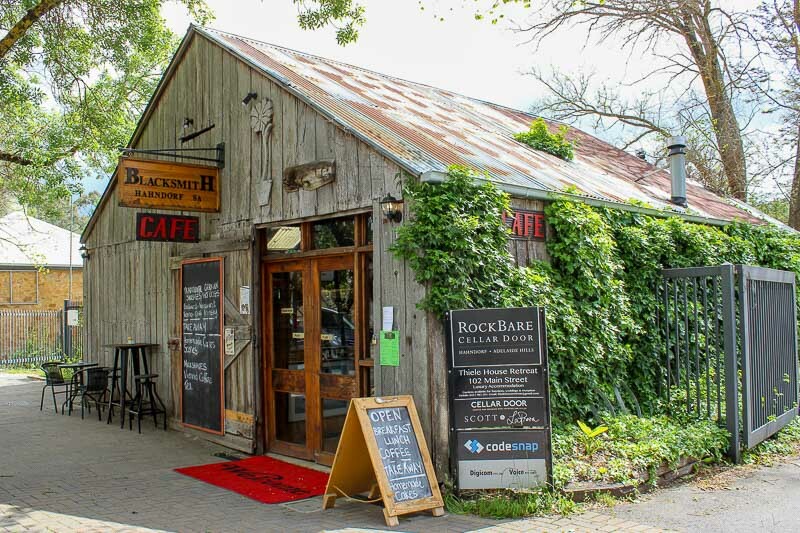 Much of the heritage has been preserved, and it’s a great town for a stroll and some great food. 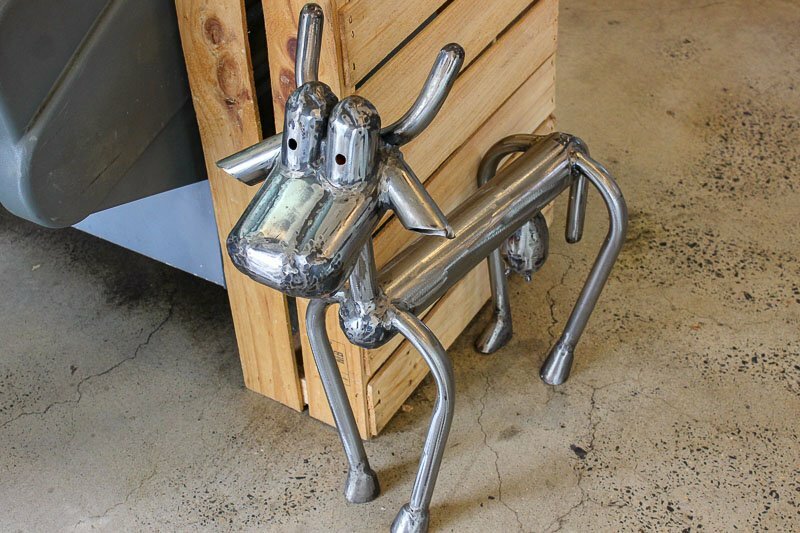 Here’s what we got up to on our visit, to help you find things to do in Hahndorf. 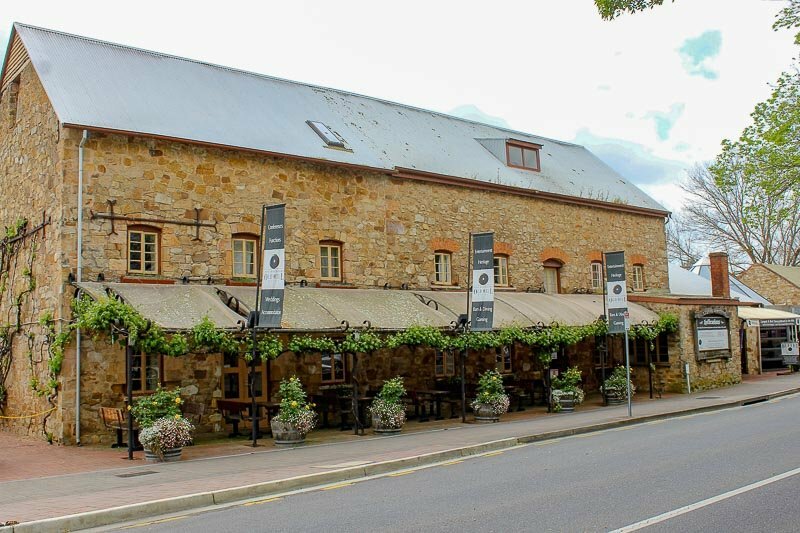 The Old Mill – now a restaurant. 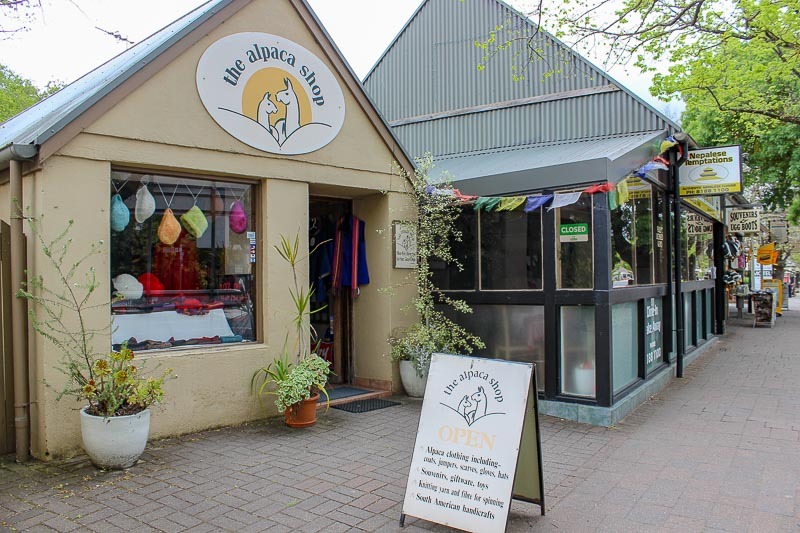 Not every town has an Alpaca Shop! Not too sure what happened to this guy! 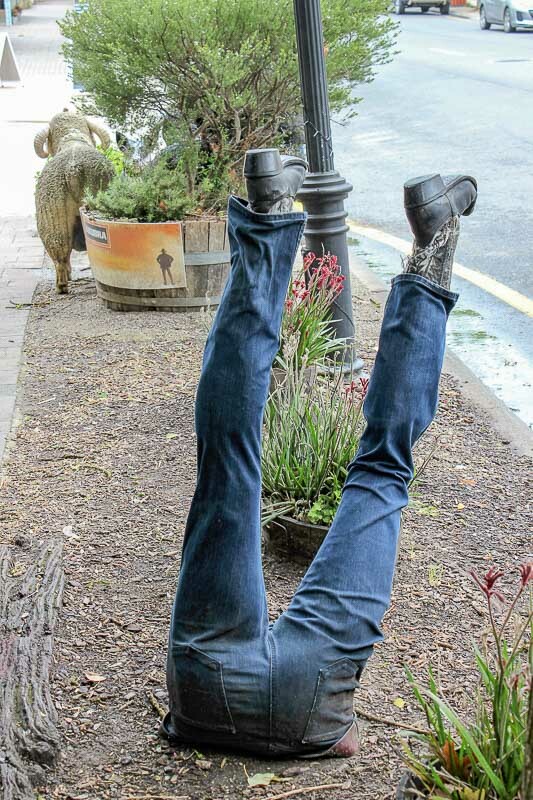 We went to visit Hahndorf late in October, when we should be experiencing warm spring weather. Instead it was cold and wet, and got worse as we made our from the city into the Adelaide hills. Our stroll along the main street was timed carefully between showers of rain, and was not as leisurely as I would have liked. 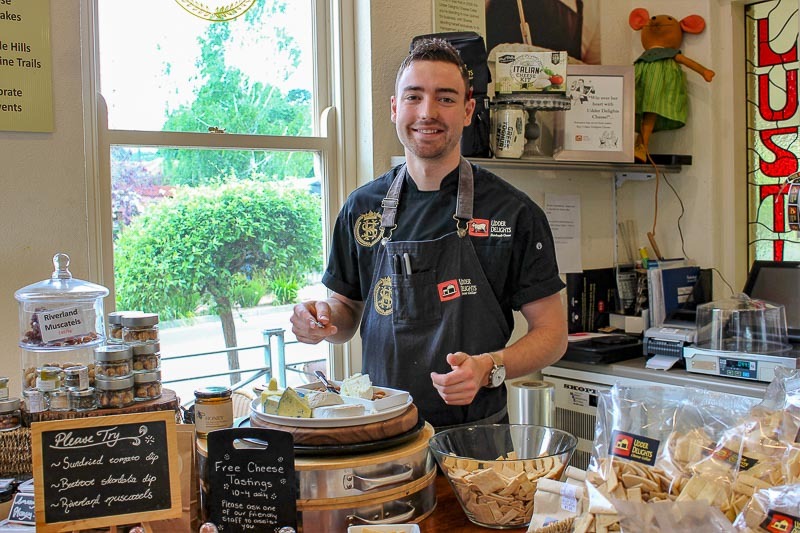 Even with the looming rain we could not resist popping in to Udder Delights and tasting some of their cheeses. 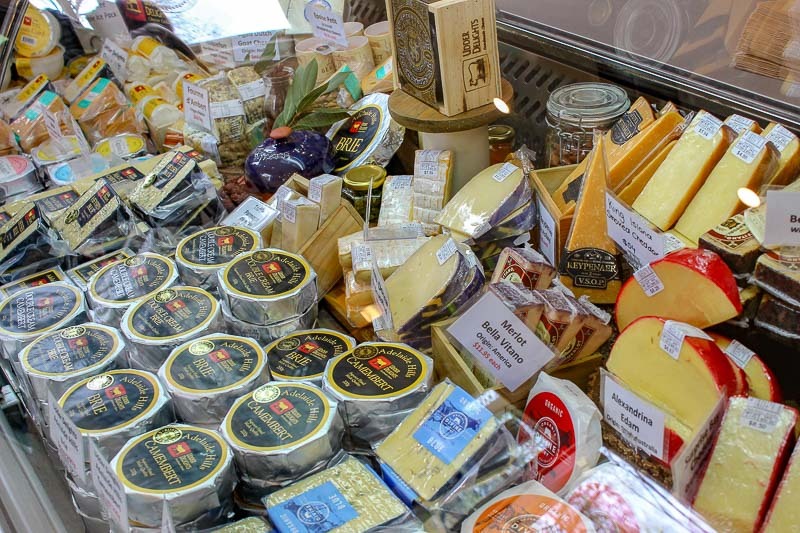 I love cheese, so struggled to choose just one. We ended up with a delicious Camembert that we took home, baked and drizzled with honey – yum! 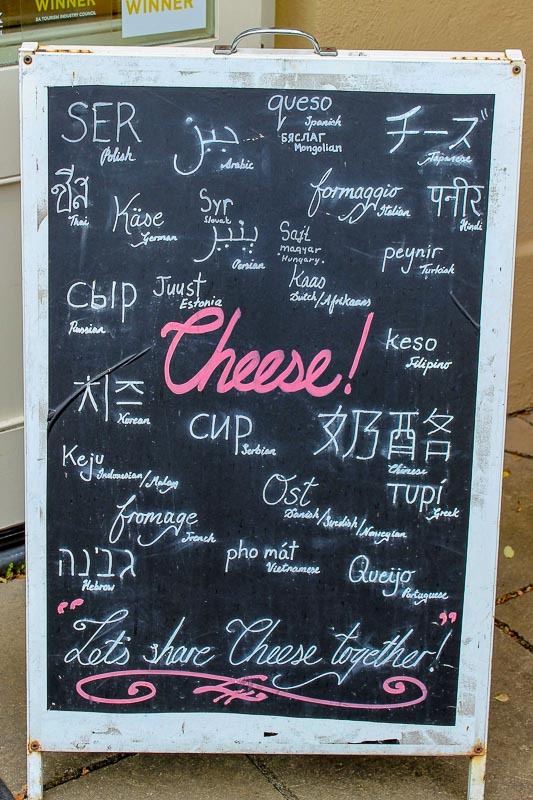 Cheese, cheese and more cheese! Yum. 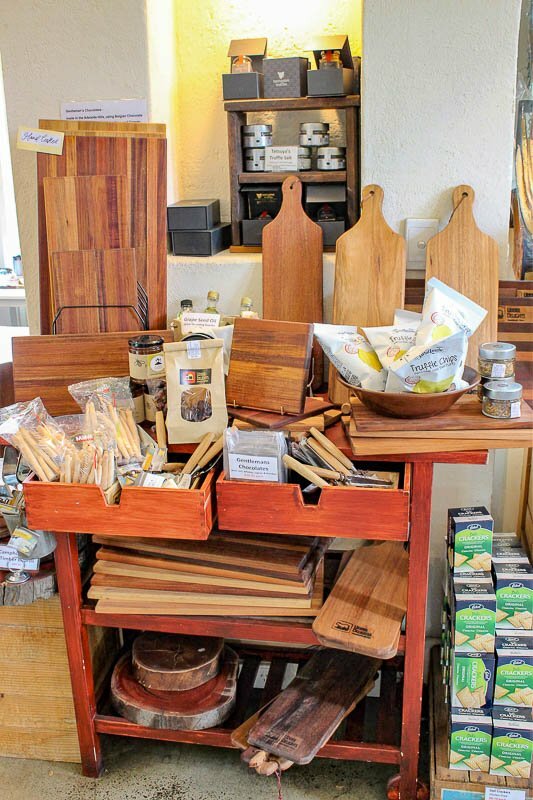 More to buy here than just cheese – there’s tools to cut cheese too. It’s a really picturesque walk along the main street. 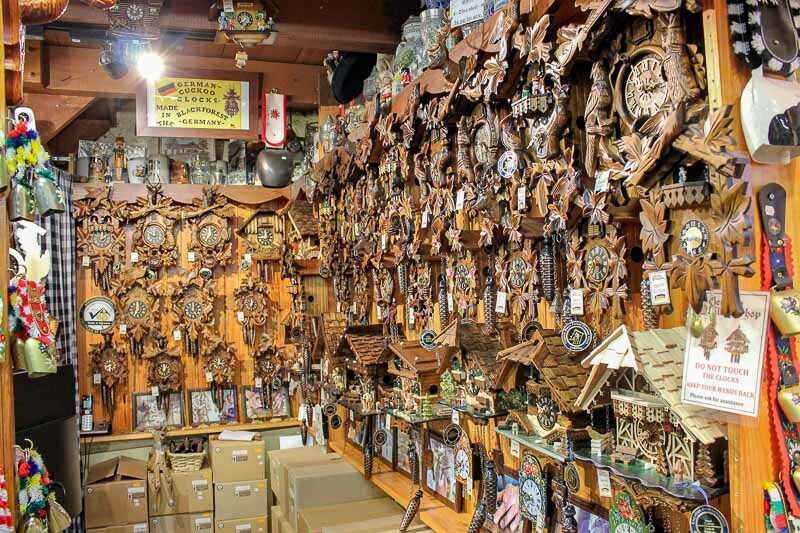 There are many interesting stores, ranging from one selling knives, to those selling souvenirs, chocolates, candles, clothes, and a German store selling cuckoo clocks and beer steins. Even with the bad weather there were quite a few visitors around. It was nice to see many of the visitors were international tourists enjoying our South Australian hospitality. 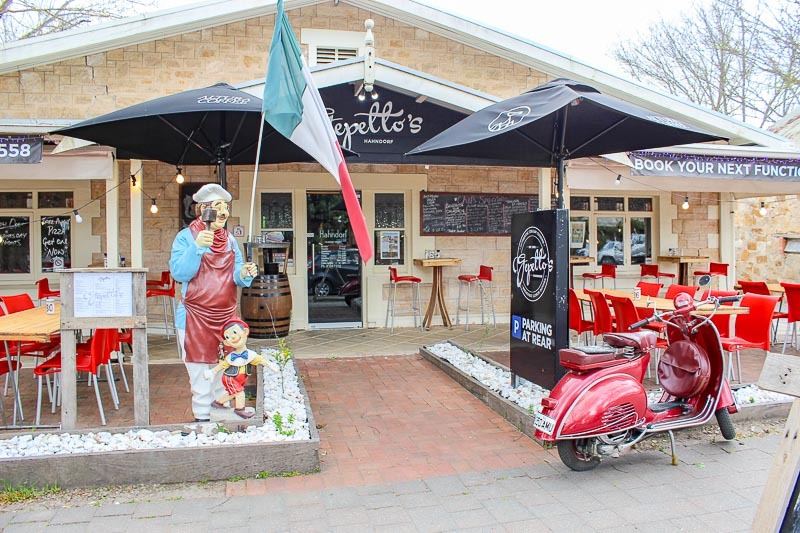 It’s not all German here, there’s an Italian restaurant too. 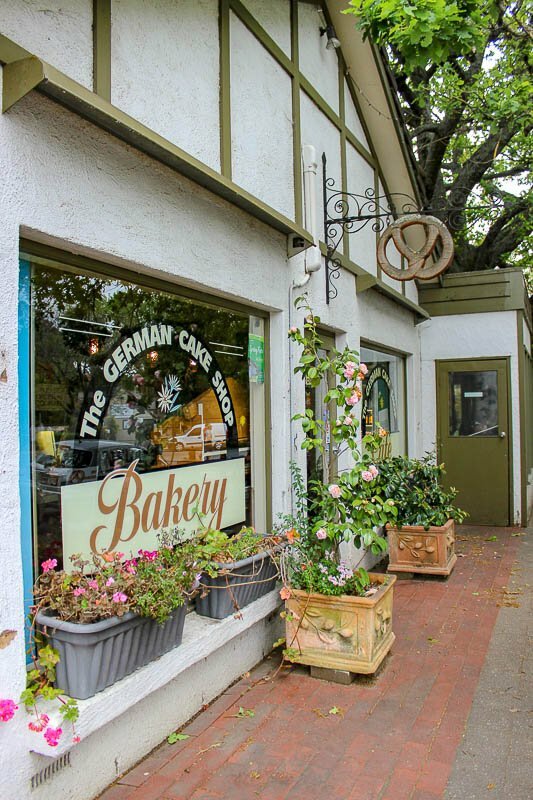 The German Village Shop. Apron anyone? 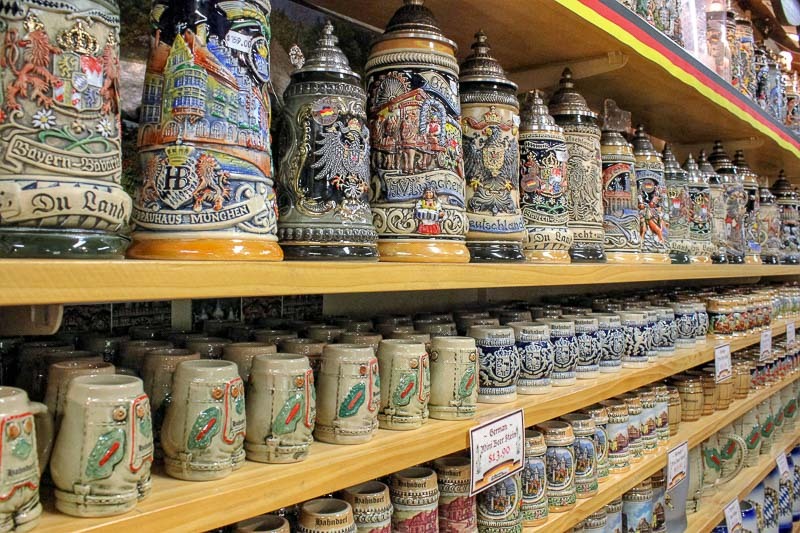 Or maybe you prefer a beer stein? There are some buildings that really show the German heritage of the town. 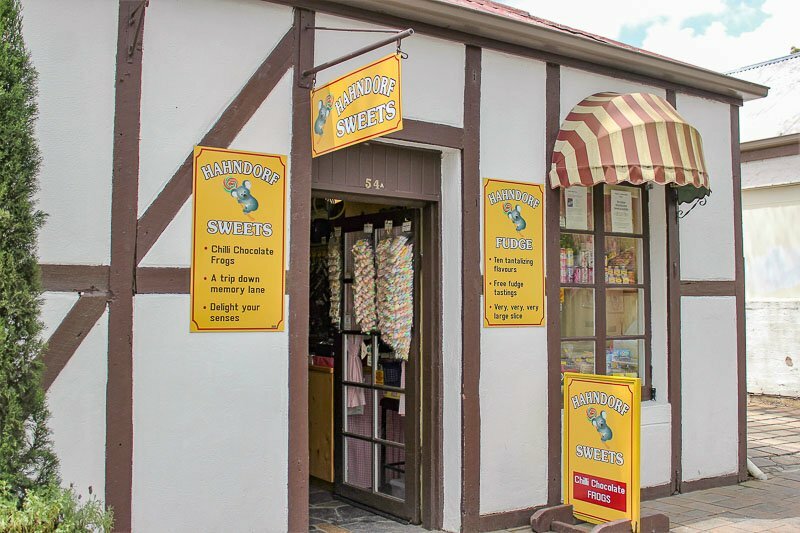 Hahndorf Sweets. 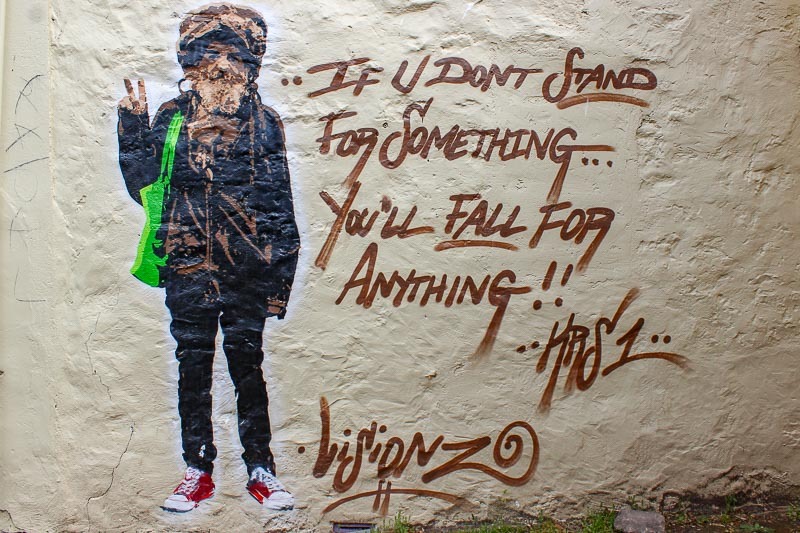 You won’t be able to walk past with out going in! 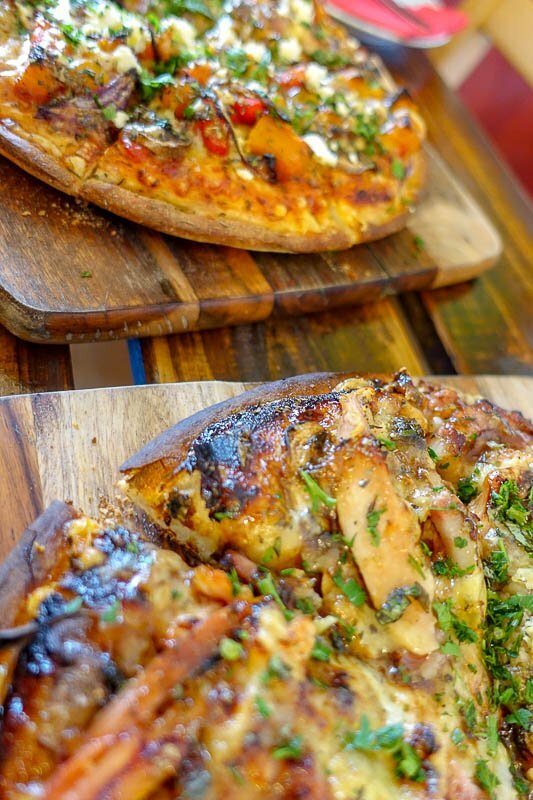 For lunch we stopped into The Farm Shed and grabbed some gourmet pizzas. They filled us up and were absolutely delicious. 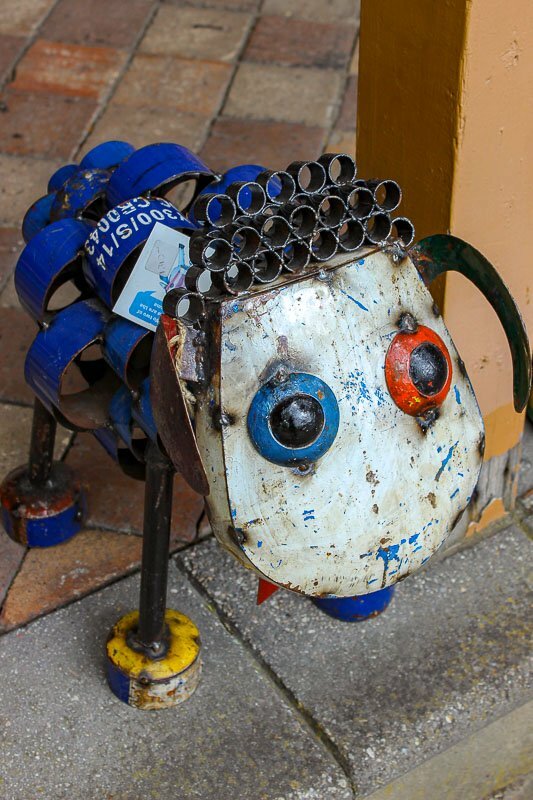 To see our full review, please go to OurWorldinReview. 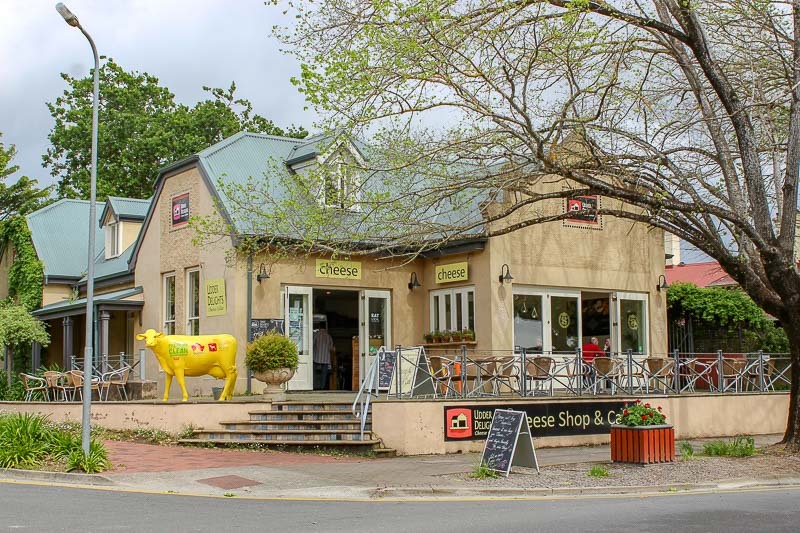 Hahndorf has many food options, from restaurants, to pubs, cafes and takeaway places. There are also two or three ice cream shops, but we weren’t even tempted in the rain. The pizza at The Farm Shop was delicious, and warmed us up nicely on a cold day. Must be a lot busier here in the summer. 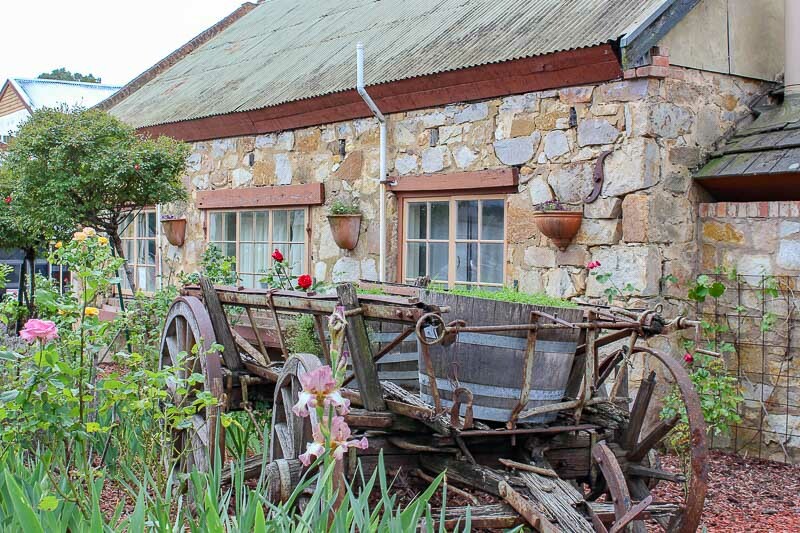 As the rain set in, we took the short drive to renowned Beerenberg Farm. 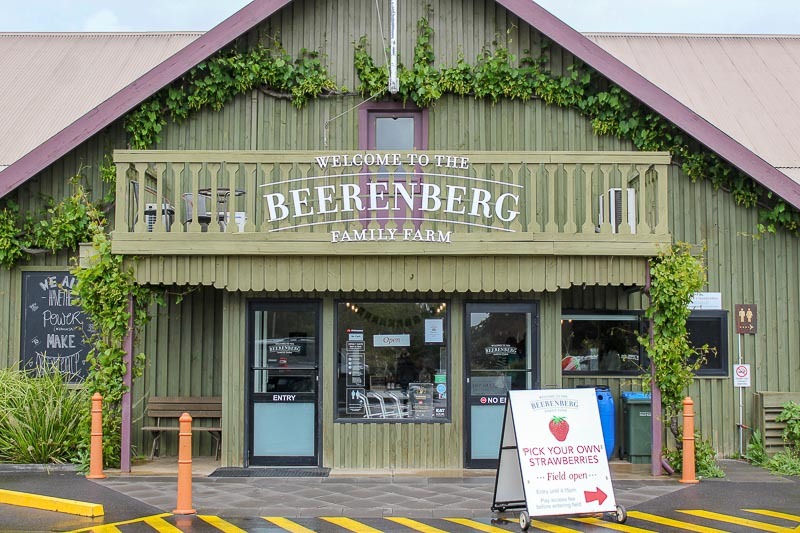 Between November and April, visitors can pay $4AUD and head out into the fields and pick as many strawberries as they like. It’s just $9.95AUD/kg for any strawberries that are to be taken home – fresher and cheaper than the supermarket. Instead we browsed the farm shop, and struggled not to take home one of everything! 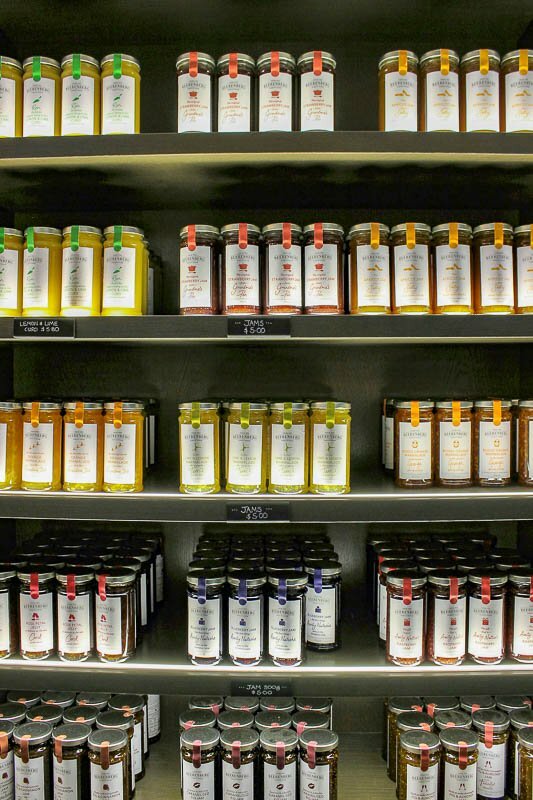 There is a huge range, not just the popular jams, but chutneys, sauces and marinades too. 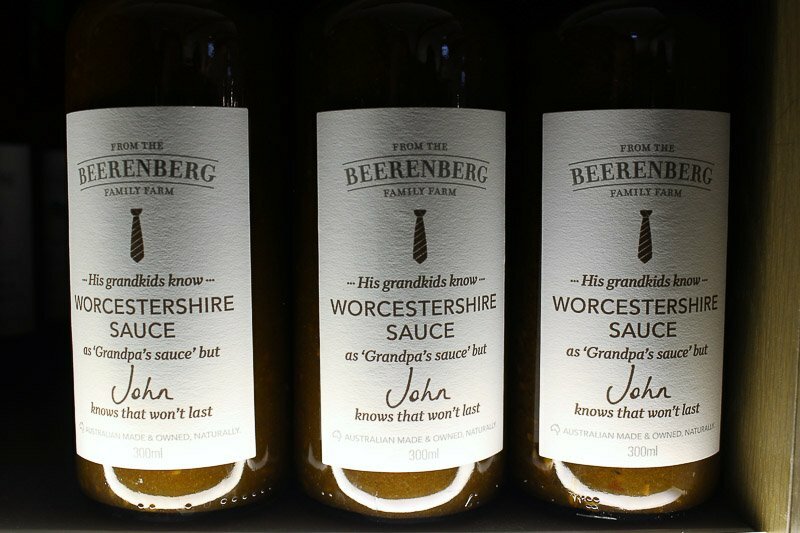 I loved the quirky labelling using common names and humorous comments. We ended up bringing home some Pear and Vanilla Jam, which quickly disappeared. Beerenberg. Come in here in the summer to pick strawberries. A whole wall of jam. 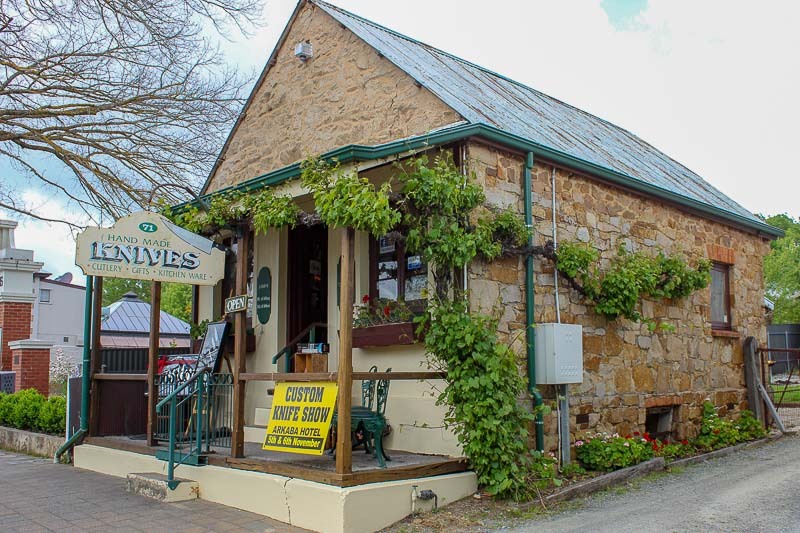 Visiting Hahndorf is a pleasant day out. It still has that relaxing small town air about it, while having enough to look at to be happily entertained between food stops. 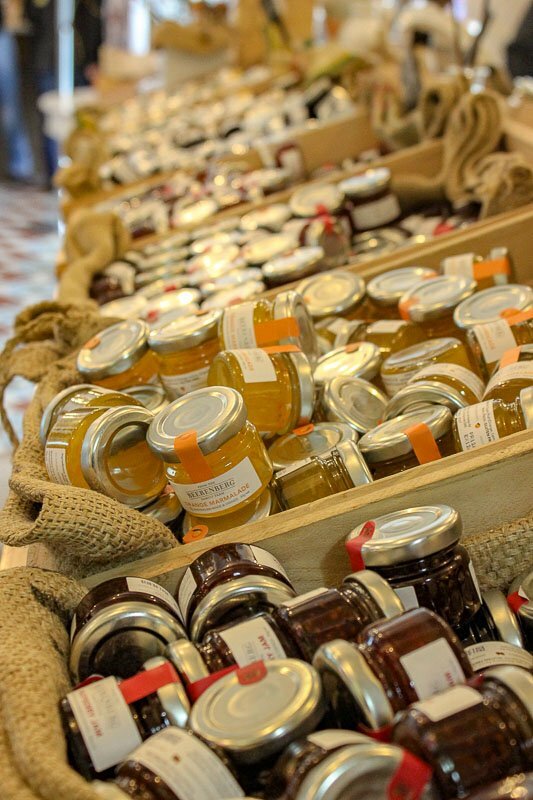 For the foodie, it’s just paradise, with many local products available. 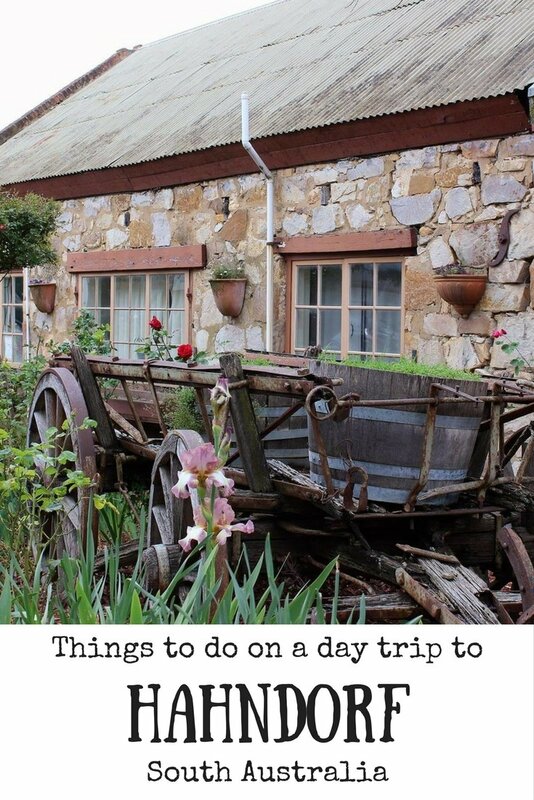 There are lots of things to do in Hahndorf so it is worth the trip up the freeway to check it out. Thank you! 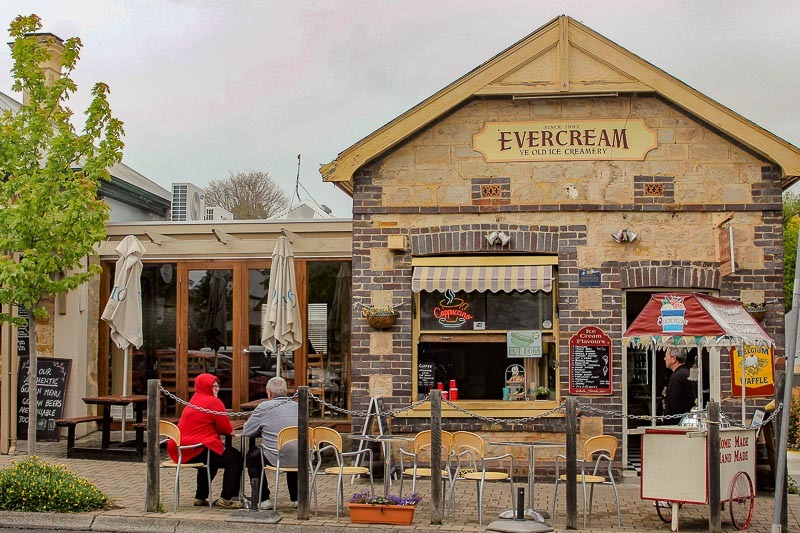 It’s easy to make a town look good when it’s as pretty as Hahndorf.